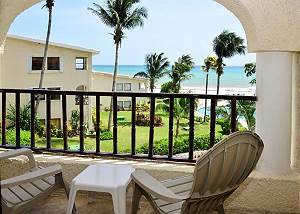 This beautiful beachfront condo is the perfect choice for a vacationing couple. Located on the 2nd floor of the quiet XamanHa building, this vacation rental has spectacular views of the ocean. 1 bedroom condo with spectacular Caribbean views with pool in the Xaman Ha condo complex located in the gated community of Playacar Phase 1. This chic beachfront condo is both welcoming and luxurious. Beautifully decorated in soothing earth tones and furnished with a contemporary flair. 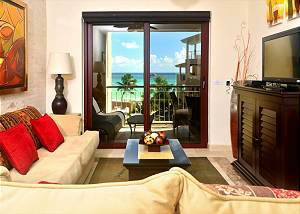 Caribbean Sea views the moment you walk in! 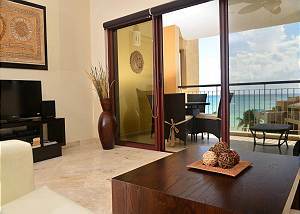 On the second floor of the beautiful El Faro condo complex, this is a comfy and contemporary vacation rental. With 2 bedrooms and a pull-out sofa bed, up to 5 guests can be accommodated. If you find a better rate, let us know and we will match or beat it! 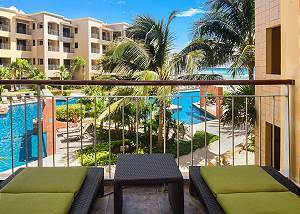 Incredible beachfront condo with 3rd storey views of the jewel-toned Caribbean Sea! 2 bedrooms, flat screen TVs and DVD players, adjoining bathrooms, rain showers & double sinks. Beautiful open kitchen & dining for 6 with ocean views. 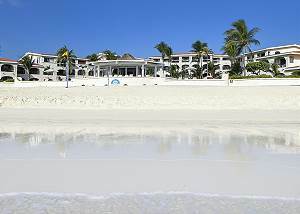 Airy, refreshing, St. Barts island-theme, modern, luxurious beachfront Playa del Carmen condo.